On this page you will find a series of frequently asked questions relating to the use of Ore-Based Metallics in EAF steelmaking. If you don't find the answer you were looking for then please ask the question using the form at the bottom of the page and we will try and answer it for you! Likewise, if you want to comment on any question or answer, please use the form. A. What are ore-based materials (OBMs)? Ore-based materials or OBMs include pig iron, hot metal, direct reduced iron and hot briquetted iron.These materials contain varying quantities of iron and are derived mainly from virgin iron ore.The metallic iron content in these materials can vary from 85% to 100%.  OBMs have also been known by several other names including "Alternative Irons" and "Scrap Substitutes" - IIMA prefers "Scrap Supplements" - OBMs supplement the scrap or other iron-based metallics in the EAF charge, adding value through their clean chemical analysis, etc. Refer to our Fact Sheet #1for further information. B. Where do OBMs come from? Suppliers of merchant pig iron are either dedicated merchant producers or integrated steel mills selling off iron which is surplus to internal requirements. The principal sources of internationally traded pig iron are Russia, Ukraine and Brazil, also India, South Africa, Canada, Germany and Norway. Merchant HBI producers are located in Russia, Venezuela, the United States, Malaysia, Libya and Iran. The is very little merchant supply of DRI, essentially only surplus material from integrated DRI-Mini-mill plants, e.g. in Iran, plus some from Bahrain, A significant tonnage of DRI is shipped from the Nucor-owned plant in Trinidad, to Nucor's steel mills in the United States. Sponge iron produced in India is mainly for domestic consumption, but a limited tonnage is exported to nearby markets. There are sources of commercially available GPI in India and Sweden. C. What are the main differences between the various types of OBMs? Pig iron is produced mainly by smelting iron ore in a blast furnace and then casting the hot metal (liquid iron) into ingots, ingot weight ranging from as little as 3 kg up to more than 50 kg, Pig iron is also produced by smelting ilmenite ore in electric furnaces. Pig iron is produced both by dedicated merchant plants (which sell all their output to third parties in the form of cold ingots) and by integrated steel mills (which have iron that is surplus to the requirements of their steel shops and is sold in the form of cold ingots or granulated pig iron). Global pig iron use in EAFs averages 5 - 10% of the total metallic charge. Direct reduced iron (DRI) is produced by the direct reduction of iron ore in the solid state. Reducing gases (carbon monoxide and hydrogen) are used to remove the oxygen from the iron ore, resulting in a highly metallised iron product in pellet or lump form (depending on the type of iron ore feedstock, pellets or lumpy ore). The resulting DRI product is very porous in nature and as a result is highly reactive with a tendency to re-oxidise. As mentioned above, most DRI is consumed by adjacent EAF shops, but some is transported to external steel plants, both overland and by sea. Transport of DRI, especially by sea, requires careful handling to control the risks of self-heating (caused by exothermic re-oxidation) and evolution of hydrogen (caused by the aqueous corrosion of iron). Great care must be taken avoid contact with water, especially salt water. Hot briquetted iron (HBI )is DRI that has been briquetted under very high pressure and at elevated temperature to form dense briquettes that are much less porous than DRI and therefore much less reactive. HBI was developed as a product in order to address the risks associated with external transport of DRI. More detailed information about OBMs can be found on the relevant pages of this website and in our Fact Sheets. D. What OBMs are typically utilised in the EAF? E. Why are OBMs used in the EAF? The use of pig iron in the EAF was initially associated with operations that wished to increase furnace productivity through the increased use of chemical energy in the EAF. Pig iron contains a large amount of carbon and lesser quantities of silicon and manganese, all of which can be oxidised in the steel bath to provide energy to the steelmaking process. OBM's are used to dilute residual impurities in conventional scrap in order to meet more stringent steel chemistry requirements - the content of residual impurities in most OBMs is essentially zero. Most DRI facilities are integrated with EAF's in mini-mill complexes, for example in areas where there is insufficient local supply of scrap materials to support a steelmaking operation., for example in the Middle East where supply of natural gas is available. F. How much of each OBM can be used in the EAF? There is no single answer to this question: each EAF operation has its own set of considerations, such as the quality and price of the local scrap supply, steel quality requirements, etc. In the case of a direct reduction plant located adjacent to the EAF steel shop, up to 100 % of the EAF charge material can be DRI. In some cases, the DRI is transferred and charged hot, leading to energy savings in the EAF. In theory, pig iron can constitute up to 100% of the EAF charge, but in practice utilisation is typically up to a maximum of 50-70 % due to site process and cost considerations - 30-40% is the typical "economically viable" level. In EAFs utilising hot metal, (liquid iron) usage typically ranges from 20% to 50 % of the furnace charge. In theory the EAF charge could be 100 % HBI. However, in practice the HBI charge typically ranges from 5% up to a maximum of 50%. Many EAF operations use a combination of different OBMs in the EAF, typically up to a maximum of 50% of the charge. Selection of EAF charge materials aims at minimising raw material cost, commensurate with achieving the required steel quality and optimum furnace operation. IIMA's value-in-use model can help with charge material selection, determining the value-in-use of one charge material against another. G. Are there special handling requirements for DRI, HBI and GPI? These differences can lead to over-feeding by equipment such as vibratory feeders and overloading of bins and structures. Conveyor belts designed to carry dense materials tend to have larger motors than those designed to carry less dense materials such as coal and fluxes. If one of the latter is used to carry DRI, HBI or GPI and stalls or trips, it may be difficult to restart. Dense materials such as DRI, HBI and GPI can also cause more damage to wear components such as chutes and bins than coal or fluxes. It is therefore typical for bulk handling systems used for OBMs to have wear components protected with metal carbide weld overlays or ceramic tiles for additional protection. A major consideration for DRI users is the presence and generation of DRI fines and dust. DRI fines and dust have a much larger surface area than DRI itself and when exposed to oxygen (air) can generate heat from the exothermic reoxidation of the iron which in turn can result in fires if not properly controlled. When exposed to water / moisture, hydrogen, a flammable gas, can be evolved through the aqueous corrosion of the iron. Special dust collection systems can be used to collect this dust and avoid these hazards. Dust collection systems also serve as a means of pollution control - visible emissions of dust and particulates at industrial sites are usually carefully monitored and must be controlled. Typical levels of DRI dust generation are 0.5-1% at each transfer point. The International Maritime Organisation's International Maritime Solid Bulk Cargoes Code (IMSBC Code) contains individual schedules for HBI [the DRI (A) schedule], DRI [the DRI (B) schedule] , Pig Iron and Iron Smelting By-products [which includes GPI]. These schedules identify applicable hazards and the safety precautions and measures to deal with them. There is also a schedule for DRI Fines [DRI (C)], but this requires maximum moisture content of 0.3% which is not practical, hence DRI Fines are currently shipped under exemptions from the Code. H. How are OBMs typically charged to the EAF? Pig iron is typically charged into the EAF via the charge bucket. Care must be taken to limit the size of the layers of pig iron in the bucket in order to prevent the material from fusing together in the EAF. This results in large accretions (“icebergs”) which in turn can lead to late reactions in the EAF during refining. Pig iron should not be charged in the bottom of a bucket because it can form skulls in the EAF resulting in late reactions during refining. Granulated pig iron can be charged continuously through the roof. When DRI/HBI make up less than 20 % of the total metallic charge, it is common practice to charge them via the scrap bucket. As with pig iron, care must be taken to limit the size of the layers of DRI/HBI in order to prevent the material from fusing together in the EAF resulting in large accretions (“icebergs”) which can lead to late reactions in the EAF during refining. Several EAF operations have found that layering pig iron and HBI/DRI together can lead to better recovery of the non-metallised Fe in the HBI/DRI and thus a better overall metallic yield. DRI/HBI can be fed continuously through the furnace roof. Typically, the feed rate is matched to the furnace active power so that the HBI/DRI melts quickly and does not form icebergs. Many operations utilise oxygen injection in the feed zone to create better mixing and move the DRI/HBI away from the point of impingement on the bath. I. Can DRI be hot charged? If the DR facility is a captive facility dedicated to supplying an adjacent meltshop, DRI can be hot charged at temperatures of 450 – 650 degrees C. In some cases the DRI is conveyed on a hot conveyor from the DR shaft discharge into feed bins above the EAF. In other cases, the DRI is conveyed pneumatically. In a few cases, the DRI is discharged into refractory lined buckets that are then transferred to a remote meltshop. In this case, inevitably there is some temperature loss. The refractory lined bucket either discharges the hot DRI into insulated bins above the EAF or is elevated directly above the EAF where it serves as a feeding bin for the EAF. J. Can there be too high a level of OBMs in the charge? When the EAF charge contains a high proportion of OBMs, great care must be taken in charging to the EAF. If DRI or HBI is charged in the scrap bucket, care must be taken to spread these materials throughout the charge so that they do not fuse together in the EAF. If these materials fuse together, late reactions in the EAF can result once it reaches flat bath. This can in turn result in expulsion of material from the EAF which is a dangerous situation. If large quantities of pig iron are charged in the scrap bucket, care must be taken to make several layers of the pig iron in the bucket. If all of the pig iron is added in one layer, the material can fuse together and sit low in the EAF. This will also tend to result in late furnace reactions and the possibility of material expulsion from the EAF. Some operations are now charging granulated pig iron through the EAF roof. If charging greater than 20 – 25 % DRI/HBI to the EAF, continuous charging through the roof is recommended. K. What is the recommended feed rate for OBMs to the EAF? When feeding in a flat bath condition the input rate for DRI or HBI fed into the furnace through the roof should be matched to the electrical power being utilised at the time.Typical feed rates are 20-35 kg/MW/min depending on the quality of the material being used, the overall scrap mix, and the furnace design. L. What is the typical yield of the various OBMs? Pig iron typically contains 4 - 4.5 wt. % carbon, 0.3 - 1.1 wt % Si and 0.1 - 0.7 wt. % Mn. Depending on the steel product being produced, almost all of the carbon and silicon will be oxidised, along with some of the manganese. As a result, the metallic yield will be in the range of 92 - 94%, depending on the amount of iron oxidised. DRI and HBI yields are dependent on several factors, including the iron ore feedstock quality (% Fe total and gangue content) and operating parameters such as the degree of metallisation and the carbon content. Other factors influencing yield include fines generation and losses, for example from materials handling, the method of feeding to the EAF and operating parameters such as slag basicity. M. How do OBMs affect the furnace productivity? OBMs improve EAF productivity by providing increased chemical energy to the EAF process. The carbon, manganese, and silicon contained in OBMs will react with injected oxygen to produce an oxide - CO, MnO, or SiO2. All of these reactions release large amounts of heat, speeding up the melting process. Since the maximum input rate of electrical energy input is usually fixed, the additional energy provided by these chemical reactions decreases the time it takes to bring the entire heat up to tapping temperature. With the same amount of steel being produced in a shorter amount of time, the productivity of the EAF in tons/hour is increased. N. How do OBMs affect steel quality? Ore-Based Metallics are frequently used to dilute residual metallic impurities in the metallic charge in order to enable the required steel specification to be met. OBMs can be used to replace any type of scrap. In some cases, there may be a cost benefit to blending OBMs with obsolete scrap to replace prompt scrap whilst still achieving the desired steel chemistry. OBMs can also help to reduce the nitrogen content in the steel. DRI and HBI have very low nitrogen content (typically < 20 ppm). Most steel scrap contains between 80 and 120 ppm of nitrogen. Thus use of DRI and/or HBI helps to dilute the bath nitrogen concentration. DRI and HBI also promote slag foaming and protect the steel bath from exposure to air. Pig iron is also very low in nitrogen content: when pig iron melts into the steel bath, it provides carbon which is blown out of the steel bath with oxygen.The generation of carbon monoxide in the steel bath helps to strip out dissolved nitrogen from the bath.Operations that use large proportions of pig iron in the EAF are capable of tapping steel with nitrogen contents less than 20 ppm. O. How does the gangue content in OBMs compare to scrap gangue content? The gangue content in OBMs can range from 1.5 % to as high as 8 %. - typically, the levels are 3 – 5 %. Gangue content in scrap can range from 0.5 – 10 %. - typically the levels in North America are 1 – 3 %.Thus the gangue content is a little lower for scrap than for OBMs, but this is highly variable and in many parts of the world, scrap gangue content is higher than that in OBMs. P. How does the use of OBMs affect power consumption and tap-to-tap time? This is a commonly asked question that is not easily answered. Historically, steelmakers will tell you that use of pig iron increases productivity and reduces energy consumption while DRI and HBI have the opposite effect.The truth is that energy consumption depends greatly on the quality of the OBMs. Some EAFs that charge 100 % hot DRI exhibit shorter tap-to-tap times and lower power consumption than in many conventional scrap based EAFs. The critical factors include % Fe, % metallisation, % C and % gangue. Materials high in C will exhibit lower kWh/t due to increased utilisation of chemical energy as the C is oxidised with oxygen in the steel bath. Thus chemical energy is being substituted for electrical energy. Q. How do OBMs affect refractory wear in the EAF? Ore based metallics such as DRI and HBI contain gangue constituents such as silica and alumina.These must be balanced in the EAF slag to ensure that the slag does not aggressively erode the refractory. Pig iron contains silicon which will be oxidised to form silica in the EAF. The oxidation of the silicon to silica provides chemical energy to the EAF process, but the resulting silica must be balanced through additions of lime and dolomitic-lime to ensure that the slag does not attack the EAF refractory lining. R. How do OBMs affect the slag chemistry? Most OBMs contain some level of manganese, silicon, and other elements or compounds. In the EAF, elements that oxidise easily will typically report to the slag (except for carbon). Such elements include manganese (Mn -> MnO), silicon (Si -> SiO2), aluminum (Al -> Al2O3), and phosphorous (P -> P2O5). DRI and HBI also have some level of iron and gangue oxides, ranging from roughly 2% up to 8%, depending on the producer and source iron ore chemistry. These oxides fall into two groups: acidic oxides and basic oxides. Most EAFs use a basic slag where the amount of basic oxides (primarily CaO) is typically 1.4-2 times the amount of acidic oxides (SiO2, Al2O3). When OBMs contain high levels of acidic oxides the EAF producer must balance the chemistry of the slag by adding additional CaO to the furnace. OBMs that contain high levels of P or P2O5 force the steelmaker to operate with a large slag volume to absorb phosphorous.The steelmaker must also operate within tight temperature limits to ensure that phosphorous stays in the slag and does not concentrate in the steel. S. How do OBMs affect nitrogen levels in the steel? The nitrogen content in the steel tapped from the EAF is dependent on several factors.Steel scrap and OBMs contain nitrogen.The higher the nitrogen content in the feed materials, the higher the nitrogen content of liquid steel. OBMs tend to have extremely low nitrogen content (typically 10 – 30 ppm). Nitrogen can be added to the steel if the steel bath is exposed to air under the arc.Nitrogen in the air will dissociate in the electric arc to form charged nitrogen ions that are quickly absorbed into the steel. If the arc is contained by the slag, nitrogen entering the steel bath will be minimised.Thus ,good slag foaming operations are an effective way to minimise nitrogen pick-up in the EAF. Nitrogen can also be removed from the steel bath. When oxygen is injected into the steel bath it will react with carbon to form CO.As CO bubbles rise through the steel bath, they can strip dissolved nitrogen and hydrogen from the steel bath. Many OBMs contain carbon and this can contribute to nitrogen removal from the steel. When OBMs contain high levels of phosphorus, certain steps must be taken to try to push the phosphorus into the furnace slag and flush the slag from the EAF. Factors that impact phosphorus removal from the steel into the slag include 1) high slag basicity (high CaO content in slag), 2) low steel bath temperature and 3) high FeO content in the slag. Thus, it is easier to remove phosphorus early in the heat. Some operators will increase the size of the hot heel in the EAF, so that de-slagging occurs earlier in the heat. This can also impact energy efficiency and the ability to operate at high arc voltage.